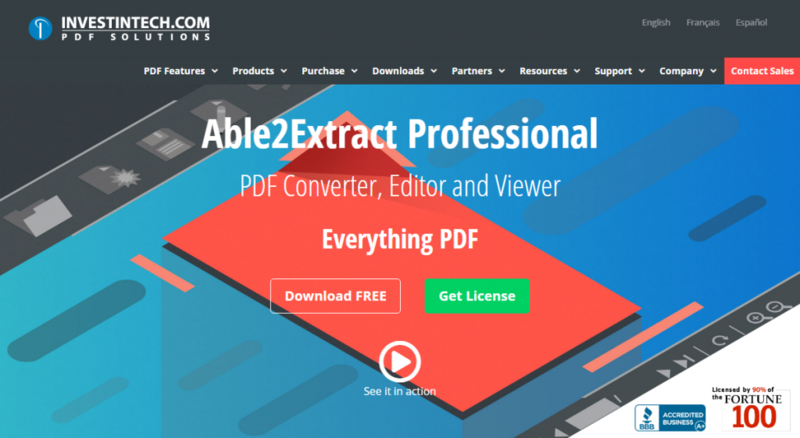 We’re happy to announce Able2Extract Professional 14, a newer, more advanced PDF suite than ever before. Needless to say, we pushed the envelope with PDF features this time. We’re excited about the new advanced digital PDF signatures in this version. From signing PDFs to verifying digital certificates, this new security feature is extremely powerful in keeping your PDFs in compliance with document security standards right out of the gate. Also, included in this latest version is Artificial Intelligence technology, which allows you to train custom Excel templates into Smart and Master templates. These are extremely effective in speeding up custom PDF to Excel conversions. Another new improvement you’ll see? PDF Form fields placement. You now gain more flexibility and accuracy when creating or editing your PDF forms. 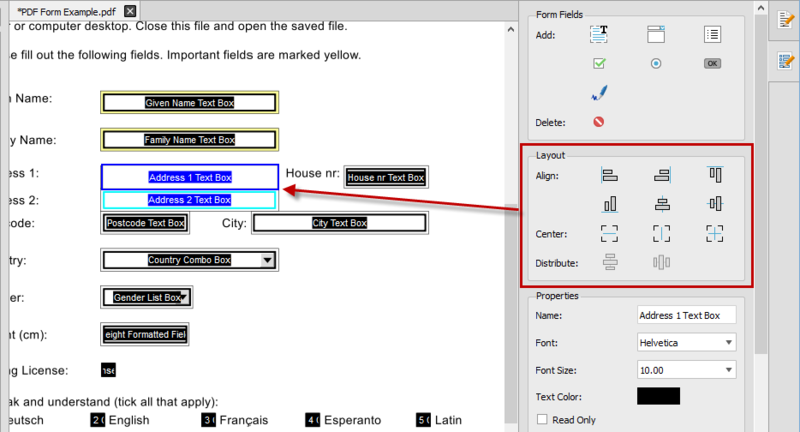 Learn how Able2Extract Professional 14 is changing the way you interact with your PDF files. Our goal? To help you deal with everything PDF! We’ve long known that PDF security isn’t quite complete without the ability to sign PDFs. This why we’ve added it into Able2Extract Professional 14, baking the essential PDF signing capabilities right in! The feature allows you to intuitively manage your signatures and digital certificates right within the interface. You can sign PDF electronically by typing it in, drawing it or by simply importing a signature image. 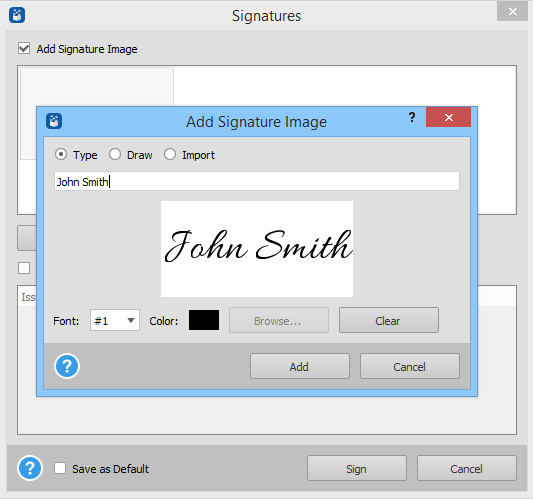 This new feature also supports signing PDFs with digital (cryptographic) signatures. It allows you you to specify the digital certificate you want to apply to the file or your PDF form. Your PDFs are secured for your intended recipients from the very beginning when you create your PDF right up until they open it. Additionally, the PDF signatures feature allows you to save valuable time on printing documents, signing them manually, scanning them in and sending them back. This feature is built in and is complementary to signing PDF files. It allows you to verify the digital cryptographic signatures that are attached to the files you receive. Able2Extract Professional 14 is advanced enough to automatically detect if one is attached and lets you know with a padlock icon on the tab of the PDF. Not only that, but you can view the information of the digital signature directly in the side panel. Simply click on it under the Existing Digital Signatures section and you can see if the content has been modified since being signed. Able2Extract includes AI-powered Smart Templates for PDF to Excel conversions. With 5-10 PDF samples of your tables structures, you can train Custom Excel templates to identify and select the tables you want. As you adjust, save and perfect one template over and over on each of your table samples, it gets easier for Able2Extract to grab the data from the matching table structures. When the trained template is loaded, Able2Extract Professional will be able to identify and convert those table structures on its own, regardless of the table’s size or position in the PDF file. A handy feature for statements with tables that fluctuate in length, but otherwise contain the same type of data sets (eg. purchases, amounts, and dates, etc.). 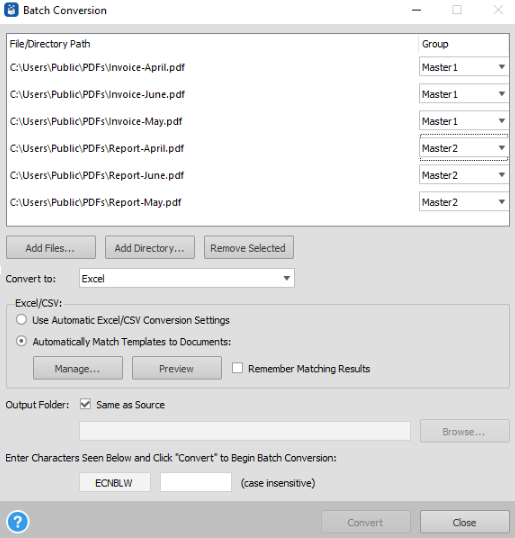 We’ve also applied this AI engine to batch PDF to Excel conversions, creating what we call Master Templates (you may have known these as Smart Batch Templates in Able2Extract 12.2). Training a Master Template works in the same way as a Smart Template with 5-10 PDF samples of your tables. The only difference is that you can then harness the power of our batch conversion feature with it. What you get is the ability to apply a Master Template to a corresponding group of PDFs Able2Extract Professional will then convert automatically. The feature can convert more than one group of PDFs assigned to a master template. In other words, you can upload your PDFs and select which specific Master Template to apply to it. Tweaks to PDF form editing have also been included to ensure that your PDF forms turn out as professional-looking as possible. To that end, we enhanced the way you create and edit PDF forms. From the form editor side panel, you can now accurately align, center and distribute form fields exactly where you want them. You can ensure that your form fields are more effectively and consistently placed on the page. We’ve also made a handful of tweaks to the software that add up to give you an improved user experience you can feel as you work with your PDF documents. We’ve polished up the PDF annotations feature, made improvements to the interface, gave the overall viewing experience and enhanced how you interact with PDF text. We not only focus on features but everything else in between to provide you with a better working experience no matter what the task. In addition to this latest release, you may have noticed the new look of our website. We’ve gotten a makeover that makes it easier to learn about Able2Extract Professional, simpler to navigate the different pages, and faster to find what you’re looking for. Explore the site and this latest set of PDF features! 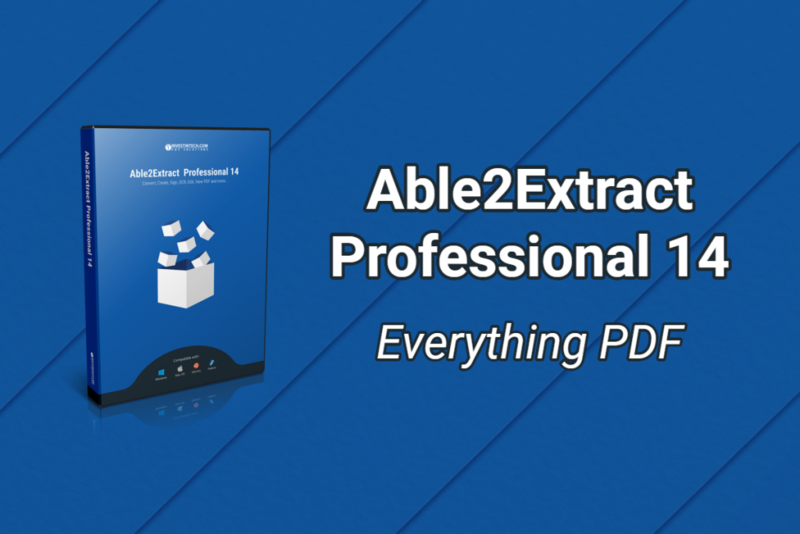 Download a free trial of Able2Extract Professional 14 to start working smarter with everything PDF! Don’t forget to give us your feedback! Give the new features a try and share your thoughts on our Facebook, Twitter, or LinkedIn page. We look forward to hearing from you!